If you want to know if you can spend the rest of your life with someone, spend a month traveling with them first. There’s little that reveals a person’s inner character more quickly than the stress, chaos, and delight of a long journey. Whether it’s an unbelievable trek to the Arctic Circle or a routine plunge into the hells of Ikea, those who travel together truly see the best and worst of one another and are forever changed by the experience. 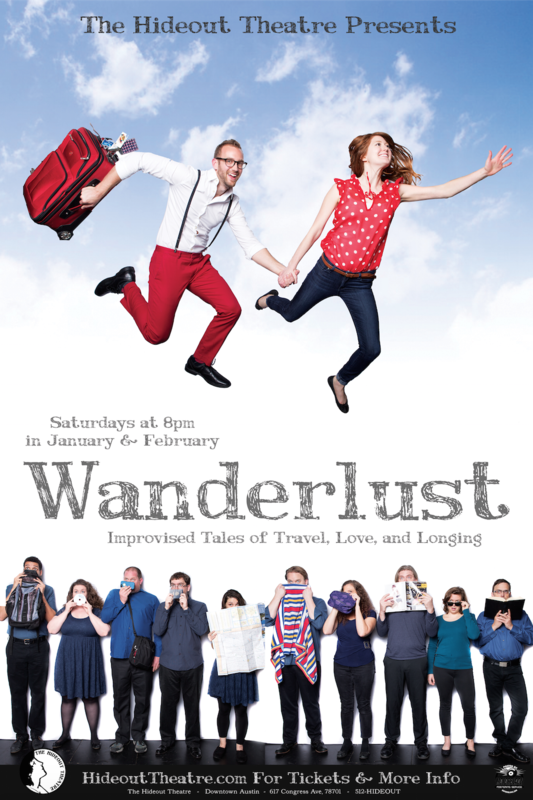 Wanderlust’s goal, as outlined by co-director’s Ruby Willmann and Aaron Saenz, is to explore that change as it happens. 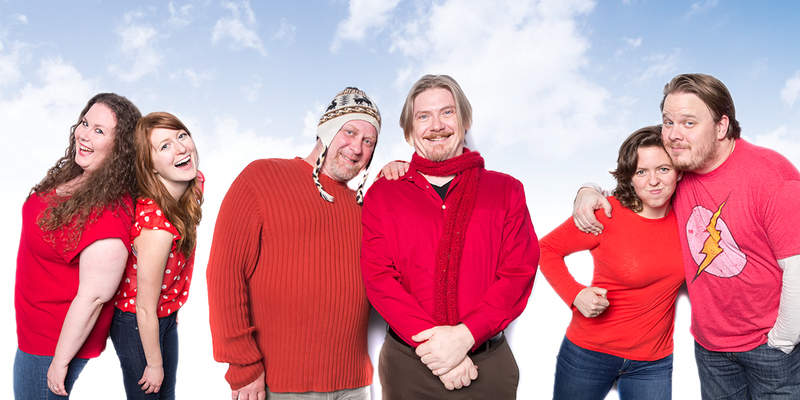 In this production, The Hideout Theatre’s talented cast of veteran improvisational actors will tell the tale of a pair of characters as they travel and explore both the world and themselves. Every night the audience will decide how these characters relate to one another, where they are headed, and what milestones we will witness along the way. Yet our heroes won’t be alone. The joyful narrative of our leads is wrapped by an ensemble of fellow improvisers who will uniquely use their bodies and voices to convey the sights and sounds of this journey into the unknown. Fans of dance will delight in the original and completely un-choreographed movements of the chorus, woven seamlessly into the narrative component of the show. 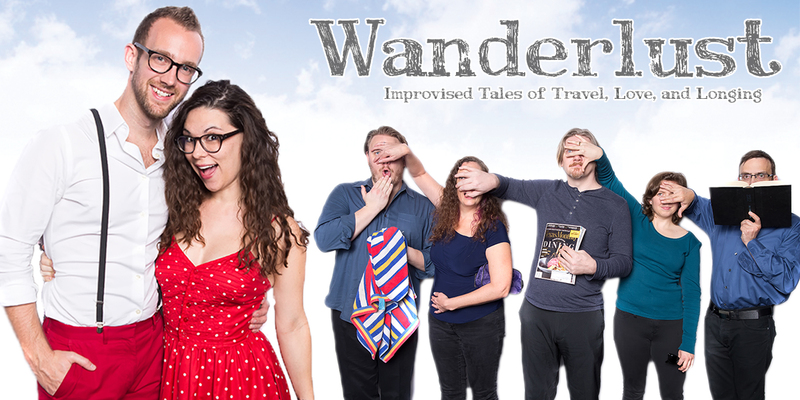 Every week Wanderlust will feature two different improvisers in the role of the leads, mixing gender, age, and relationships – ensuring a new experience in every performance. The journey by our two leads is not just a physical trip, but an emotional trek that is aims to be funny, heartfelt, and visually compelling. With the start of the New Year, come see our heroes journey into the unknown future of their lives with tales of love, laughter, and longing. 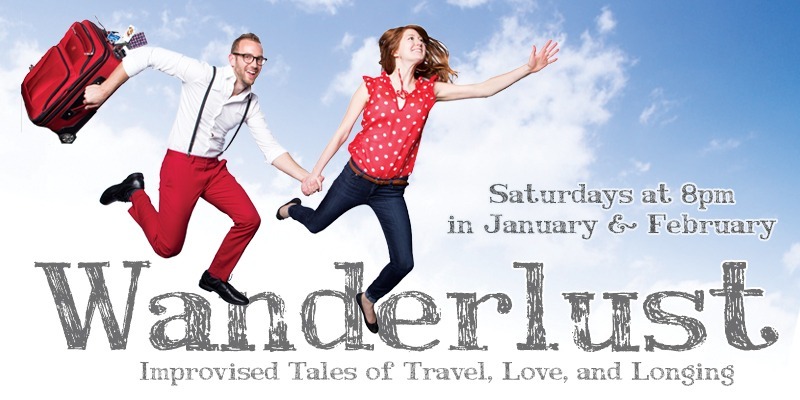 Perfect for theater lovers, dance lovers, and lovers on a date, Wanderlust promises an experience you can’t find anywhere else in Austin…or anywhere else in the world.